The landing gear was extensively redesigned for the NG. 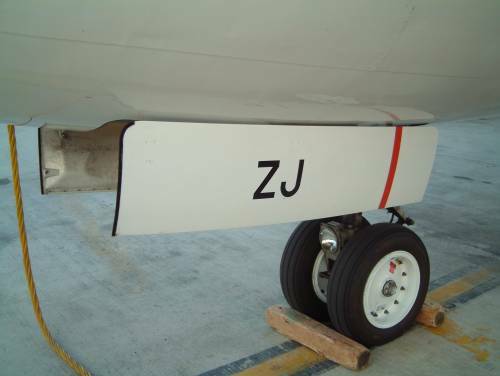 The nose gear is 3.5” longer to relieve higher dynamic loads and the nose-wheelwell has been extended 3” forward. The main gear is also longer to cater for the increased fuselage lengths of the -8/900 series and is constructed from a one piece titanium gear beam. There is an externally mounted trunnion bearing on the gear, a re-located gas charging valve, and the uplock link is separate from the reaction link. It is fitted with 43.5” tyres and digital antiskid. Unfortunately, the 737-700 was particularly prone to a dramatic shudder from the main landing gear if you tried to land smoothly. 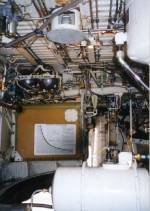 Fortunately, Boeing started fitting shimmy dampers to this series from L/N 406 (Nov 1999) and a retrofit was made available. For the MAX. the nose gear has been extended by 15-20cm to increase the ground clearance of the larger diameter engines . One of the peculiarities of the 737 is that it invariably appears to crab when taxying. Theories for this include: A slightly castoring main gear to increase the crosswind capability; Play in the scissor link pins; Weather-cocking into any crosswind impinging on the fin; Torque reaction from the anti-collision light !!! Engineers will tell you that is due to the main gear having a couple of degrees of play due to the shimmy dampers. Tyres are tubeless and inflated with nitrogen. Pressures vary with series, maximum taxi weight, temperature and size of tyres. Unfortunately this large variation in tyre pressures makes it difficult to know your aquaplaning speed. The table below should prove helpful, notice how the aquaplaning speeds are all just below the typical landing speeds. Note: Once aquaplaning has started, it will continue to a much lower speed. Another oddity of the 737 is the resonant vibration during taxying that occurs at approx 17kts in classics and 24kts in NG's. This is due to tyre "cold set". This is a temporary flat spot that occurs in tyres with nylon chord (ie all Boeing tyres) when hot tyres are parked and they cool to ambient temperature. Hence the reason why the flat spot is most pronounced in cold weather and tends to disappear during taxying as the tyres warm up again. The speed rating of all tyres is 225mph (195kts). 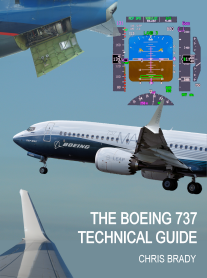 Notice that none of the 737 series have ever had full main gear doors. 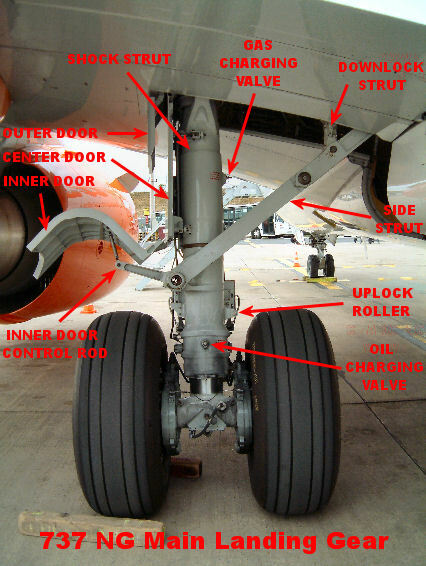 Instead the outer wall of the tyres meet with aerodynamic seals in the wheel well to make a smooth surface along the underside of the aircraft. The first few 737's had inflatable seals which were inflated by bleed air when the gear was either up or down and deflated during transit. 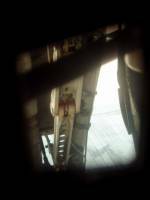 The landing gear panel had a NOT SEALED caption which would illuminate during transit (normal), if it illuminated at any other time you could have a puncture and the seal could be depressurised with the GEAR SEAL SHUTOFF switch to save bleed requirements. These were soon dropped as being too complicated and a similar drag and noise advantage was achieved with the present fixed rubber seals. 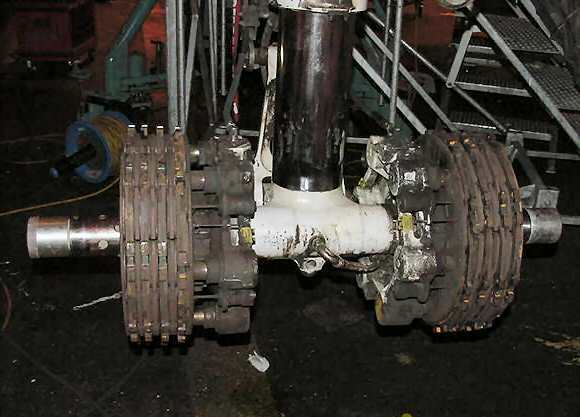 The standard 737 brakes are a steel alloy called Cerametalix(R) with versions made by either Goodrich or Honeywell. Since 2008 the 737NG has had a carbon brake option from either Goodrich with Duracarb(R) or Messier-Bugatti with SepCarb® III-OR. They are both about 300kgs lighter than steel and last twice as long. The brake pressure gauge merely shows the pressure of the air side of the accumulator and should normally indicate 3000psi. The normal brake system and autobrakes are powered by hydraulic system B. If brake pressure drops below 1500psi, hydraulic system A automatically provides alternate brakes which are manual only (ie no autobrake) and the brake pressure returns to 3000psi. Antiskid is available with alternate brakes, but not touchdown or locked wheel protection on series before the NG's. If both system A and B lose pressure, the accumulator isolation valve closes at 1900psi and you are just left with residual hydraulic pressure and the pre-charge. The gauge will indicate approx 3000psi and should provide 6 full applications of brake power through the normal brake lines (so full antiskid is available) As the brakes are applied the residual pressure reduces until it reaches 1000psi at which point you will have no more braking available. If the brake pressure gauge ever shows zero, this merely indicates that the pre-charge has leaked out, normal and alternate braking are unaffected if you still have the hydraulic systems (see QRH). The accumulator also provides pressure for the parking brake. 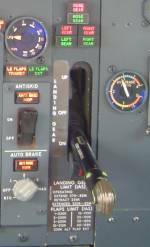 Note that on the 737-1/200, hydraulic system A operates the inboard brakes and system B operates the outboard brakes. Both brake pressures are indicated on the single hydraulic brake pressure gauge. There are four thermal fuse plugs in the inner wheel half which prevent tyre explosion caused by hot brakes. The plugs melt to release tyre pressure at approx 177C (351F). 3000 No hydraulics, minimum 6 applications of brakes available with accumulator. 1000 No hydraulics, accumulator used up. Zero No pre-charge, normal braking available with hydraulics. There is an "on ramp" period where autobrake pressure is applied over a period of time. Approximately 750psi is applied in 1.75 sec, then the pressures above are reached in another 1.25sec for autobrakes 1, 2, or 3 and approx. 1.0 sec for autobrake MAX. Notice from the table above that autobrake Max does not give full brake pressure. For absolute maximum braking on landing, select autobrake Max to assure immediate application after touch down then override with full toe brake pressure. Using high autobrake settings with idle reverse is particularly hard on the brakes as they will be working for the given deceleration rate without the assistance of full reverse thrust. To cancel the autobrake on the landing roll with toe brakes you must apply a brake pressure in excess of 800psi (ie less than that required for autobrake 1). This is more difficult on the NG's because the feedback springs on the brake pedals are stiffer. 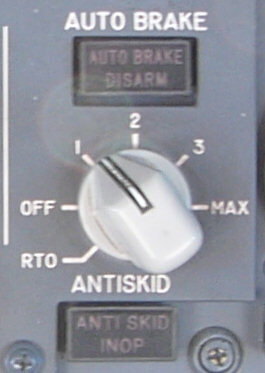 Autobrake can also be cancelled by putting the speedbrake lever down or by switching the autobrake off. I would advise against the latter in case you accidentally select RTO and get the full 3000psi of braking! Occasionally you may see the brakes (rather than the cabin crew!) smoking during a turnaround. This may be due to hard braking at high landing weights. But the most common reason is that too much grease is put on the axle at wheel change so that when the wheel is pushed on, the grease is deposited inside the torque tube; when this gets hot, it smokes. It could also be contamination from hydraulic fluid either from bleeding operation or a leak either from the brakes or another source. The landing gear panel is located between the engine instruments and F/O's instrument panel. The Green lights tell you that the gear is down and locked and the red lights warn you if the landing gear is in disagreement with the gear lever position. With the gear UP and locked and the lever UP or OFF, all lights should be extinguished. On a couple of occasions I have seen 3 reds and 3 greens after the gear has been selected down. This was because the telescopic gear handle had not fully compressed back toward the panel. If this happens to you, give it a tap back in and the red lights will extinguish. 737's used for cargo operations have an extra set of green "GEAR DOWN" lights on the aft overhead panel. This is because with the cabin filled with freight, the main gear downlock viewer could not be guaranteed to be accessible in-flight. The NG's also have these lights because they do not have gear downlock viewers installed. If any green gear lights do not illuminate after the gear is lowered, you might consider a visual inspection through the gear viewers. The main gear viewer is in the cabin and the nose gear viewer is on the flight deck. The main gear viewers are not installed on NG series aircraft. This is the main gear viewer and it is located in the isle, just behind the emergency exit row. The first time you look through a viewer it will probably take you several minutes to find what you are looking for, hardly ideal if you are in the situation for real so it is worth acquainting yourself with its use. There are two prisms, one for each main gear leg. Don't forget to switch on the wheel-well light if at night. Eventually, you should be able to see three red marks on the undercarriage, if they line up then your gear is certainly down and probably locked. 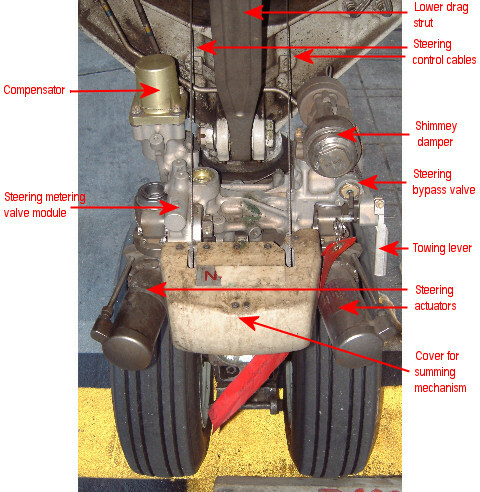 The location of the main gear downlock viewer in the wheel well can be clearly seen in this photograph. The nosegear viewer is located under a panel toward the aft of the flightdeck. There is no prism, just a long tube. This viewer directs your eye exactly toward the correct place for viewing but is usually more dirty. The nosegear down marks are two red arrows pointing at each other. 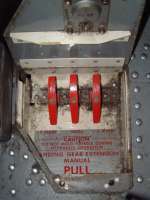 If the gear fails to extend properly or hydraulic system A is lost, the gear can be manually extended by pulling the manual gear extension handles, located in the flight deck. This should be done in accordance with the QRH procedure. 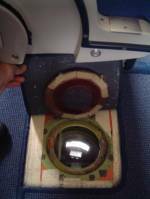 On NG aircraft opening this hatch affects the operation of landing gear extension & retraction. This pin is designed to detect any loose tyre tread during gear retraction. If any object impacts on it during retraction, then the gear will automatically extend. The affected gear cannot be retracted until this fitting is replaced. There is one pin at the aft outside of each main wheel well.